We are a small kennel based on the northside of Brisbane. At home we are loved and owned by Lola, Max and Jazz. Also part of our large and wonderful extended four-legged family is Trixi, Yahtzee, Lyric, Freya, Otto, George & Paris. 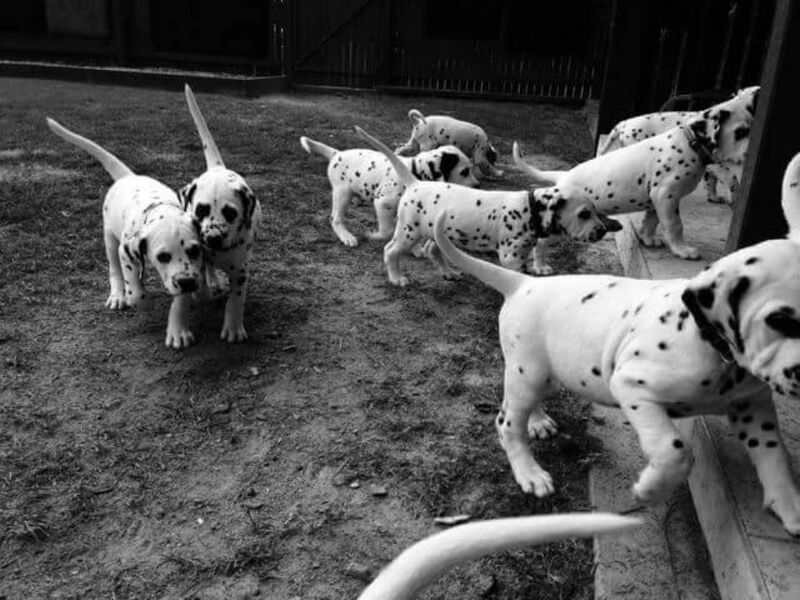 We breed Dalmatians for both show and performance but most of our puppies go to the most amazing pet homes, largely throughout Queensland but our puppies can be found in homes all over Australia. We are passionate about breeding beautiful, healthy companions with wonderful temperaments to the Australian Standard. We guarantee the health and temperament of every puppy and we are here as your back up for the life of your puppy. We hope you enjoy our page. Please contact us if we can be of any assistance at all. To see our beautiful babies at play please click on the link below and meet the Shakespeare Litter having fun in the ball pit. Over the next month or so we will be publishing many more pictures and videos from our beautiful collection. We hope you will come back lots to see them.